Look at me! I'm having so much fun! I'm whipping my hair back and forth! I'm stepping left and then right! I'm jumping up, and getting down! I'm sweating a totally appropriate amount! 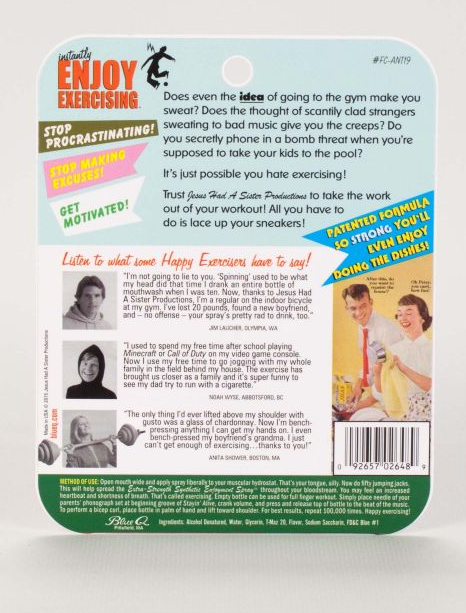 Thanks Instantly Enjoy Exercising Breath Spray! You're a real pal.